For those who've been following our family adventures over the last couple of months, you'll know that I've recently taken up cycling. I still look like Bambi learning to stand with absolutely zero balance every time I start off but I am slowly improving and I love this new sport. You'll also know from reading my past stories, that we love taking our Chariot into the backcountry. We've been doing Chariot Backpacking since our son was just a baby. Since I got my bike this spring, we've been towing the Chariot on our biking adventures now too. It was with great excitement therefore that I discovered Andy Amick's cycling website, Pale Spruce, with its large focus on Bikepacking. 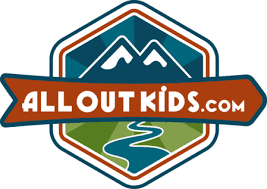 Andy gives detailed information to newbies like me who might want to get out into the backcountry with their bikes - and children. I asked Andy to please write something for me on bikepacking with small kids since our son is but three years old and not exactly going to peddle his own way into the backcountry. Here is Andy's story. Enjoy and please read through to the end of the post for more about Andy and how to follow his family's cool adventures. For the last 4 years, my kids and I have been enjoying the world of camping with bikes, also known as bikepacking. 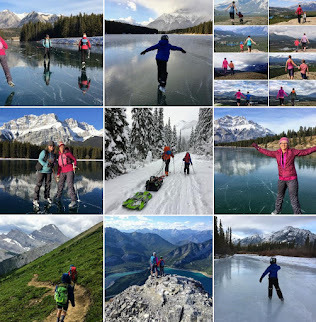 This is another option that can be added to the list mentioned in the earlier Family Camping Made Easy – Backcountry Adventure post by Tanya. Oh Yeah, we conquered some sweet Colorado Trail singletrack! We've packed the Burley trailer and ridden urban trails out to a local campground. And we have also ventured out on the Colorado Trail with a tag-a-long for some singletrack riding and a night of backcountry camping. As a dad and complete cycling nut, I can't think of anything better than combining the two to create wonderful family adventures via bikepacking. Bikepacking is essentially mountain bike camping. It has risen in popularity recently due to races like the Tour Divide that covers 2500+ miles from Banff, Alberta to the Mexican border, but also because a number of companies are making bikepacking specific gear. Just like backpacking, you have to carry all of your gear with you. With bikepacking, they key is to carry more gear on your bike so that you take the weight off of your back. I could fill up pages and pages of details on bikepacking, gear options, and how to store your gear on the bike, but I'd rather focus on the adventures with kids. Visit the Pale Spruce Bikepacking 101 resource page for all of the details on gear and setup. It has bikes, of course, and what could be better than bikes? Ok, that's my personal opinion, but I think I'm right. The biggest advantage of bikepacking is that you can go much further on a bike than you can when hiking. Plus, the kids don't have to exert themselves the entire time. They can pedal when they feel like it or just sit back for the ride, which of course always happens on the uphill sections. My kids have complained and whined about being tired on a 2 or 3 mile hike, but they have never once mentioned being tired or bored on the bike. We have ridden in sunshine, thunderstorms, and chilly mornings, but they have embraced it and enjoyed the adventures. I think that's because they can take it easy at times and watch the scenery go by instead of having to watch where they are walking with each and every step when hiking. 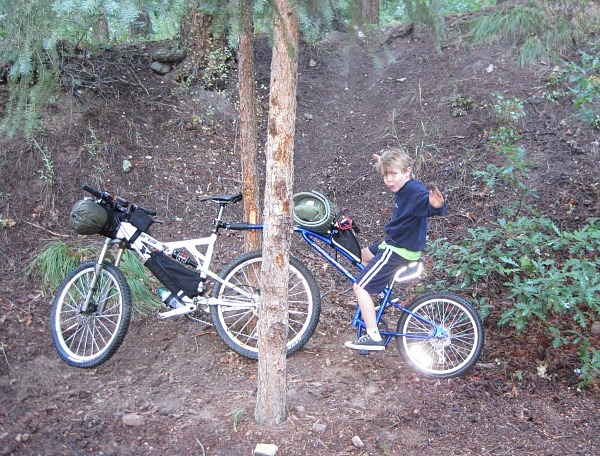 Go for the singletrack bikepacking if you want the backcountry experience and your kids are a little older. The excitement of being “way” back in the woods will keep both the kids and you motivated while navigating the trails. Any trail that leads to a campground or allows wild camping can be use for bikepacking. Just remember that the weight of camping gear, a tag-a-long, and a child will turn a moderate climb into an impossible climb. I made this mistake on parts of our Colorado Trail journey which resulted in a lot of bike pushing. The fun and fast downhill sections did make up for some of the slow uphill slog. When trying to pack camping gear, clothing, and food for two, it's tempting to go ultralight with some of your gear choices. DON'T DO IT. 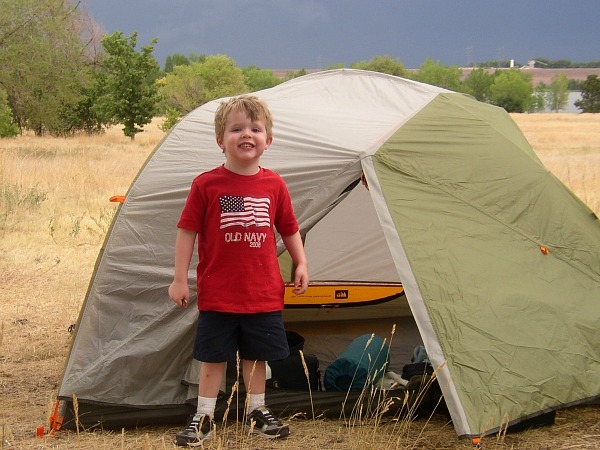 Pack for comfort so that your kids will have more fun, even it if means the camping kit weighs a bit more. I normally use a tarp and bivy sack for shelter when solo, but I “splurge” and carry a regular tent when the kids are going. The goal is to have fun. It's not worth making them uncomfortable and unhappy. When packing, also include some fun items like card games, books, or dice games. 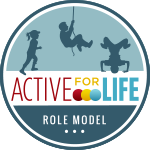 Kids can amuse themselves for hours with sticks and rocks around camp, but if it's raining and you are stuck in the tent, they still need activities. So, maybe you're a less experienced cyclist or maybe you have younger children. Try a short trip with a bike trailer as another option. 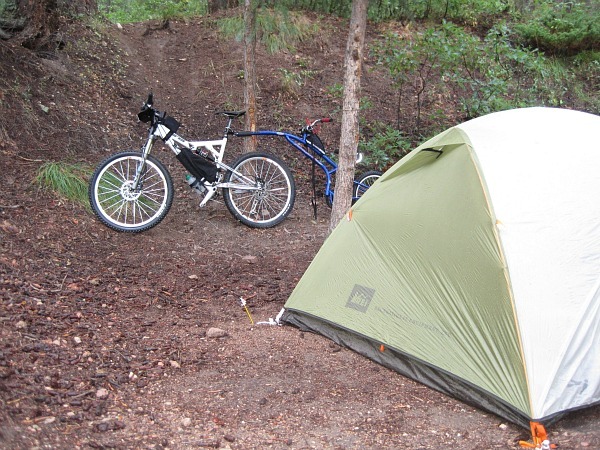 You can venture out to a local campground that has smoother and flatter trails. Between the bike trailer and a backpack, you can hold all of your gear which means you don't have to invest in bikepacking specific bags. 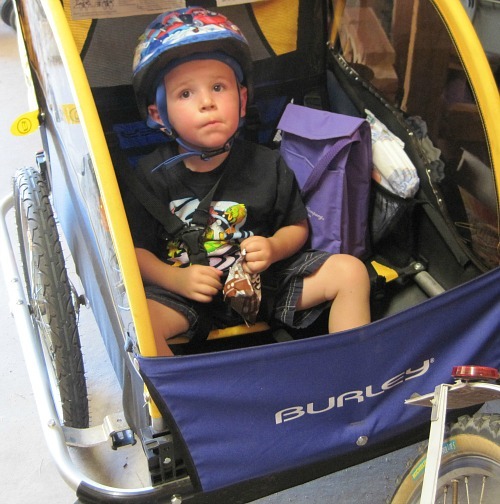 Helmet, snacks, and diapers – what more could a 3 year old need? 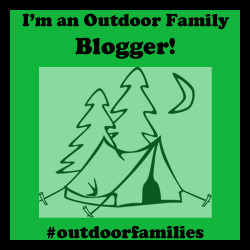 The first trip I took with each of my kids was when they were 3 years old, and I drove most of the way to the campground. We parked and then road paved trails to the campground. For them, it was still a big adventure and they had a blast. And at 3, I think they had as much fun on the playground as they did during the bike ride. Sometimes, you don't have to go far from home or deep into the woods for some great views and outdoor fun. 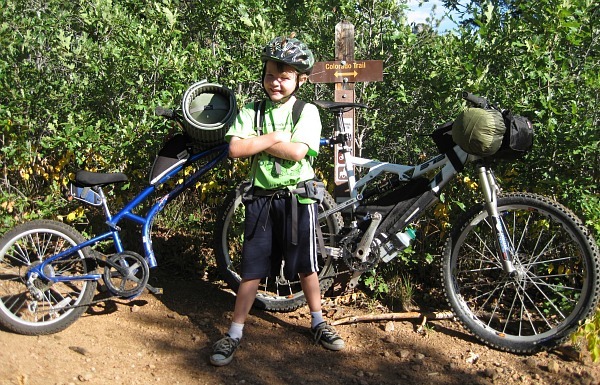 Bikepacking is a great way to explore new trails that are too far for young kids to hike. Forget about the lightest setup or the fastest ride. Take plenty of snack breaks, goof around a bit, and have fun on your adventures. Goof around, have some fun! 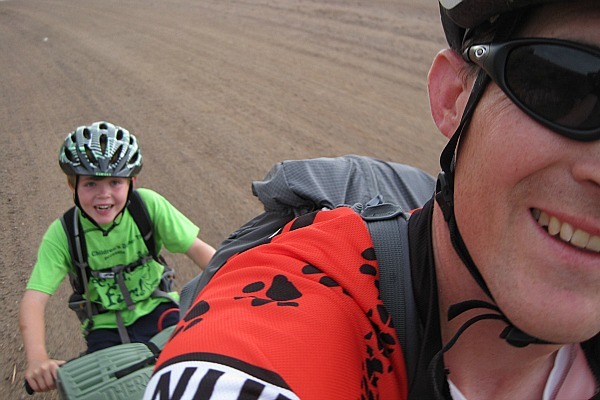 Andy Amick is a cycling nut, father of two boys, and calls Colorado home. 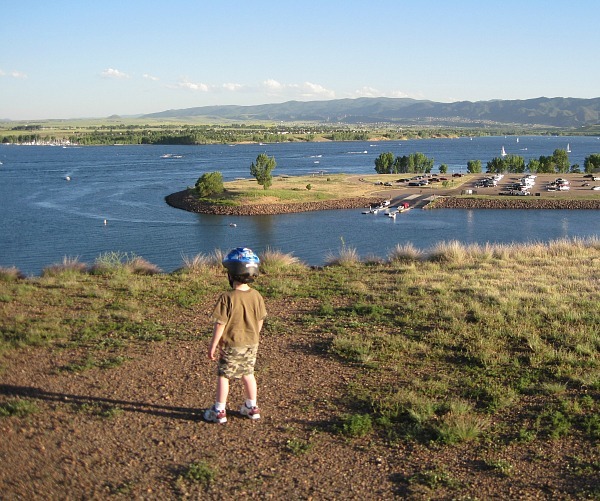 Each of his boys received a bike helmet for their first birthday and the three of them have been biking to sports practices, school, picnics, and camping spots ever since. In 2011, he started www.palespruce.com to help cyclists be prepared when they ride. Definitely on my future bucket list too. 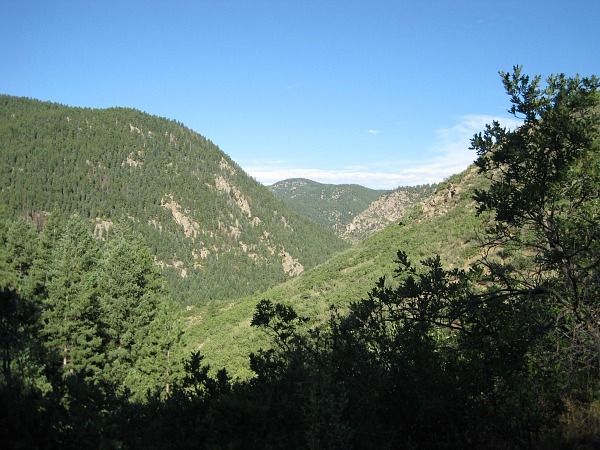 Now to find somewhere in the Rockies here that has a paved backpacking trail for the newbie bike mama. Very good point Matt and I like the choice of 'interesting' to describe the handling. It's not a big deal on wide trails or small hills, but the singletrack riding is more challenging. I try to look at it as improving my technical skills and my quads of steel at the same time. An off-road tandem would be fun to try out to see if it works better. I love when biking Dads (and Moms) take the time to introduce the joys of singletrack and the wilderness to their kids. Experiences like these last forever! Good article, by through this way peoples can develop their self confidence.. Awesome post. Most informative. Thx! , Super! Thanks especially for the kids pic! Its always great to find good honest practical content. Thank you so much. Hi , I would love this for my toddler. Let's face it he is so rambunctious and the qualities and make of this bike will probably save me some panic attacks :), as well as giving him the fun he needs. He has one of those 3 in 1 trikes from Little Tykes but he can all ready flip that over which is scary and the Srtrider bike seems like a better choice not only for my nerves but for him as well. (18 months) . We would be using the bike on the trails and on our daily walks through the paths .We have beautiful paths at a lot of our conservation areas, My guy is also a little clumsy just do to his fearlessness and his eagerness to just go, so this would be a perfect for him. Thank you so much for offering this contest. There is no contest right now on my blog for a bike. There will be one soon though so keep checking. My annual Christmas gift guide post will have a contest for a Strider bike. Nice post. There are many useful ideas for families with young kids. I'll think for a new bike for this summer. Hey! This is a good idea, Tanya Koob! Actually, I didn't know what my family will do together on the next summer. However, now, the mountain bike camping is in my list. If you live in Alberta, we just discovered the backcountry cabins in Cypress Hills Provincial Park. If you stay at one of them right before the road opens up in spring, you could bike in on a closed road and stay in a nice warm cabin. Check them out. I would love to see bikepacking hit the midwest with trail built in the Northshore! I cannot wait for more bikepacking in a few months! The warmer weather has got me daydreaming... Are you going to try it out this year? Nice to see kids enjoying bikepacking trips and camping.